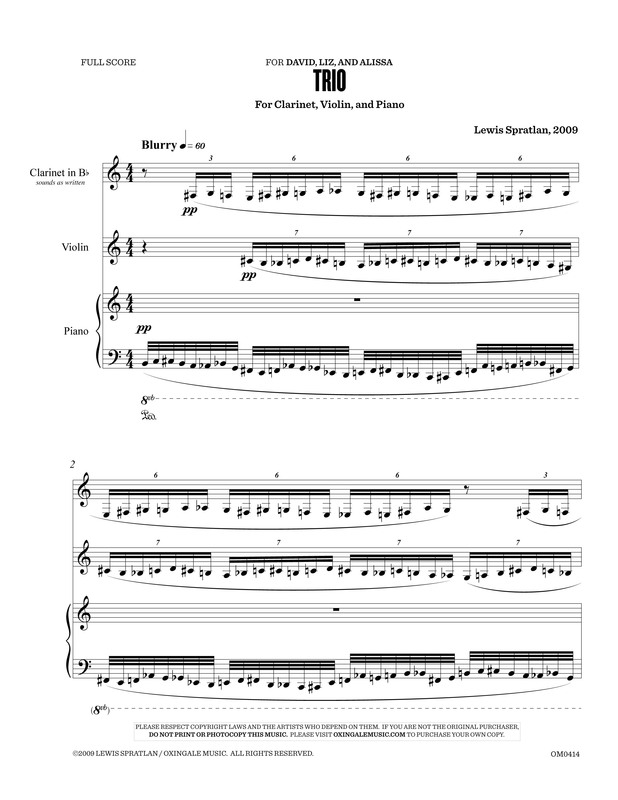 Trio for clarinet, violin, and piano was composed for David Schneider, Elizabeth Chang, and Alissa Leiser during the period March-December 2009. It has numerous sections, many of them interrupting previous sections. In fact, the piece might be considered a kind of contest between interruption and continuity, entailing shifting perspectives as to which material is primary. Each instrument at some point becomes a soloist and, over the course of time, develops its essential voice. These individualistic qualities, however, succumb to the gravitational pull of sameness, whether the low, blurry opening bars or the unanimous and raucous clattering of the conclusion. 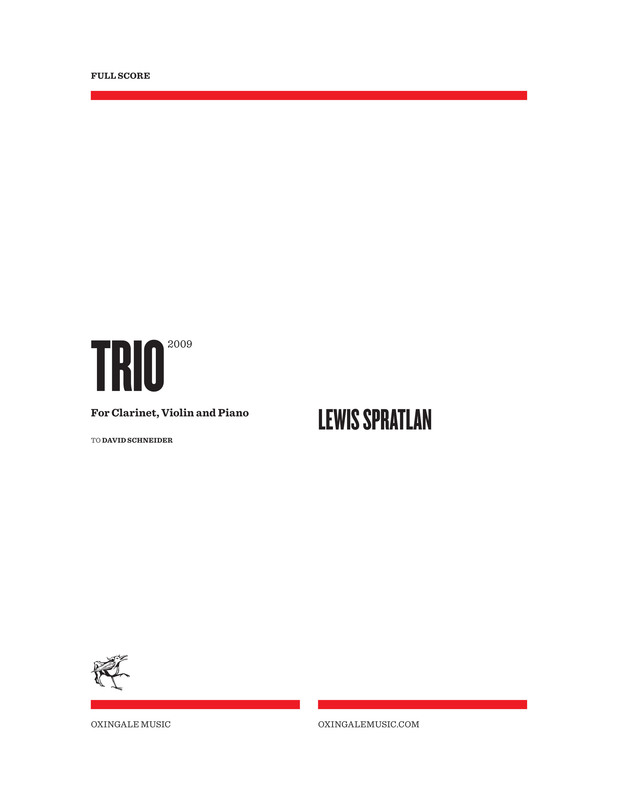 This entry was posted in Chamber Music, Chamber Music with Piano, Lewis Spratlan and tagged clarinet, David Schneider, piano, Spratlan audio clips, trio, violin. Bookmark the permalink.